Five years ago as I considered where to go to college, there was one question I thought about often – to join Greek life or not? I weighed the pro’s and con’s over and over in my head. Would I make lifelong sisters or feel like I had paid for friends? Would I be stereotyped as a preppy girl? Would there be pressure to fit in? Or would I always have ladies to stick by my side? The reputation, the crowd, the costs, and the time constraints weighed in my decisions. Cost was the definitive factor of me not joining one. My parents never started a college fund for me so the full-ride scholarship I received was a life-saver. It came with a bit of overflow but I spent that on textbooks and a meal plan. I had no time to gather the funds needed for sorority dues. I joined groups with sorority girls in them. I talked with them about their experiences in Greek life, and was surprised to hear one girl say it was “the most stressful thing ever”. She felt like she didn’t fit in well. However, on the other side of the coin, I made friends who said that joining a sorority was “the best decision of their college lives”. Sometimes I am envious of that, but in the end I am happy with my decision. I am close to the end of my college career and have a small group of friends. Sometimes I feel I may have missed out on a few fun college experiences. I’m not saying someone who’s not in a sorority can’t make friends. But it was hard for me. I think sometimes that it would’ve been a lot easier if I had had the opportunity to join Greek life. I probably wouldn’t have fit in with “that type of girl” stereotype, but many sorority members I’ve met don’t either. Recently, I moved into an apartment complex near campus and I have a feeling I will find friends there. There are plenty of ways to make friends in college. Whatever decision you make, I encourage you to get involved. If you think Greek life is for you, I say go for it. But if you don’t feel it in your heart to join Greek Life, don’t be pressured by your peers. The best way to have a good experience in college is to be yourself. As cliché as it sounds, it is the best way to enjoy your college years. Ayse Stinnett is a senior at University of Tennessee at Chattanooga. 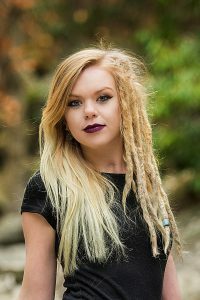 She is majoring in Computer Science – Software Systems and minoring in Business Administration. 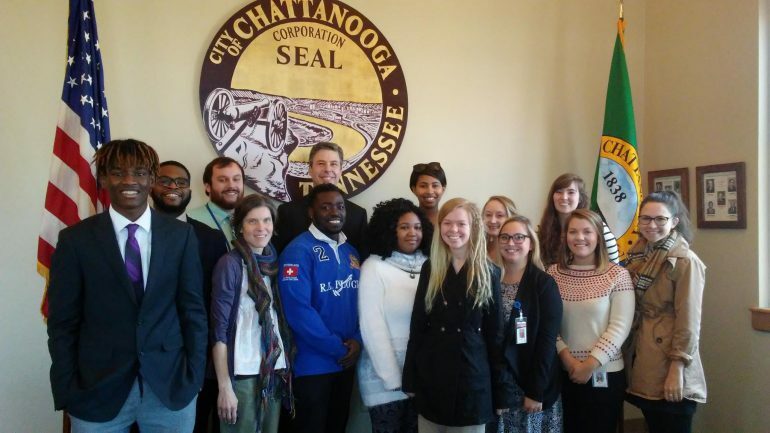 Ayse has interned at Chattanooga’s City Hall and for a start-up web development business. She is in the Girl’s in Computer Science club on campus where the group goes to elementary schools to educate children on programming. Ayse is a Pearson Student Insider. To learn more about the program and apply, click here.